The BMW X6 has had a divided opinion from the automotive pundits form the time it was launched in 2008. Some liked it because of its humongous size and imposing stance while some thought is did not fit in any particular category and had an odd shape. Over the period of time the X6 sold with decent amount of success and it was time for the update. So, the update is here finally at 1.15 crore ex-showroom Mumbai. It will be available only on the xDrive40d variant. It has a 3.0-litre twin turbo in-line six diesel power plant, mated to an 8-speed automatic transmission. The engine output of 230kW/313 hp produces a maximum torque of 600 Nm at 1,500 – 2500 rpm and accelerates from 0-100 km/hr in just 5.8 seconds and tops out at 240 km/h as per the official press release. 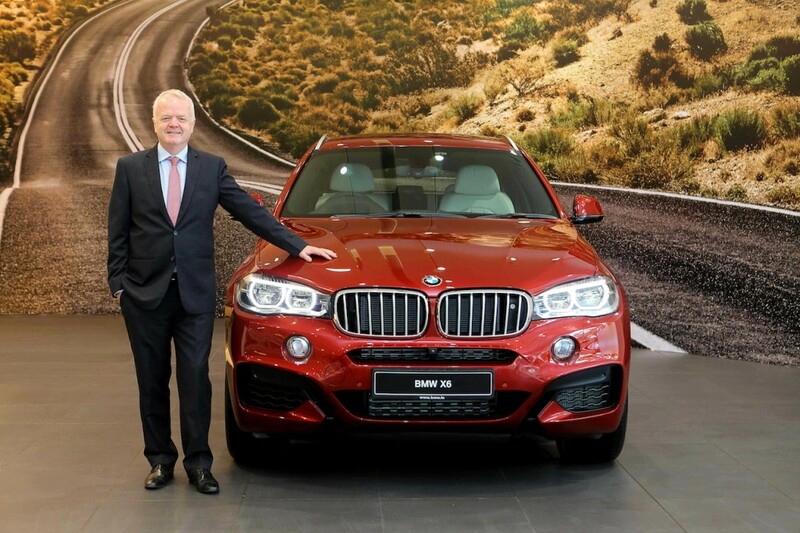 The new X6 offers LED headlights, 19-inch alloy wheels, paddle-shifters, BMW’s iDrive connected multimedia system, leather seats, head-up display, M suspension, a Harman Kardon sound system, reverse camera and a powered tailgate. The interiors come with standard Dakota or optional Nappa leather upholstery. With the seat backrest in an upright position, the luggage compartment in the BMW X6 offers 580 litres of storage space. The three sections of the backrests can be folded down in a 40:20:40 split and offers impressive 1,525 liters of luggage space when all three sections are folded down. The Driving Experience Control included as standard comes with an ECO PRO mode which enables additional fuel-saving features such as a coasting function ECO PRO Route, Active Cruise Control. The all-new BMW X6 is available at BMW dealerships across India as CBU (Completely Built-Up) units from today on-wards in five colors- Carbon Black, Flamenco Red Brilliant Effect, Space Grey, Mineral White and Alpine White as Non-metallic shade. 2015 BMW X6 (F16) – This is it!